Got Green Filament? 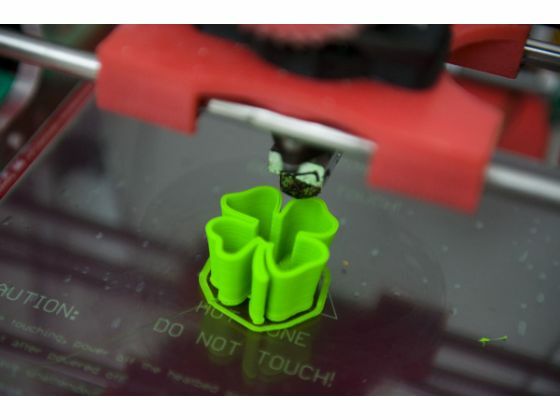 With St. Patrick’s Day around the corner why not print out some Shamrock shaped devices on your 3D printer? The bloggers here at Council Blogs are counting their petals in case there’s a four leaf clover. How is the Shamrock associated with St. Patrick? The story goes that St. Patrick used the Shamrock as a way of explaining the Trinity. This entry was posted in Uncategorized and tagged 3d printing, beloit, blog, blog club, blogging, council blogs, crossville, cumberland plateau, lept like a blog, Social media, social media marketing, TPM Technologies by councilblogs. Bookmark the permalink.